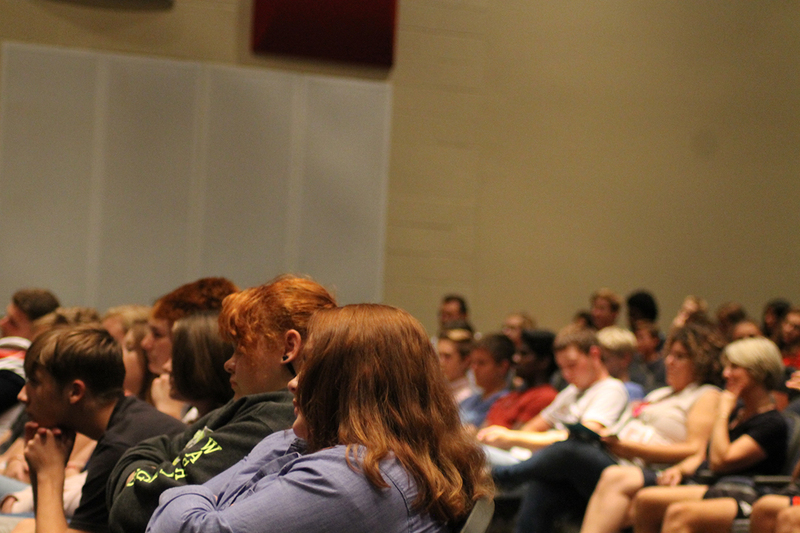 Added by Article By: Victorial Dobson; Photos By: Joe Adkins on September 25, 2017. 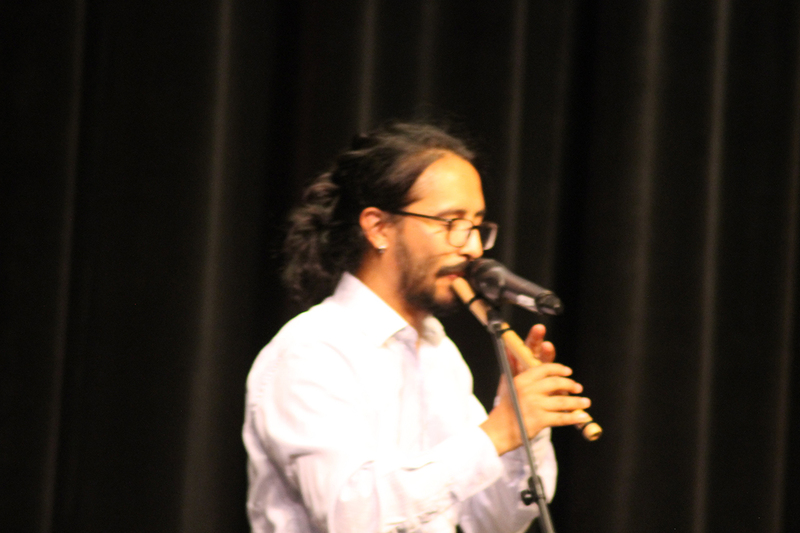 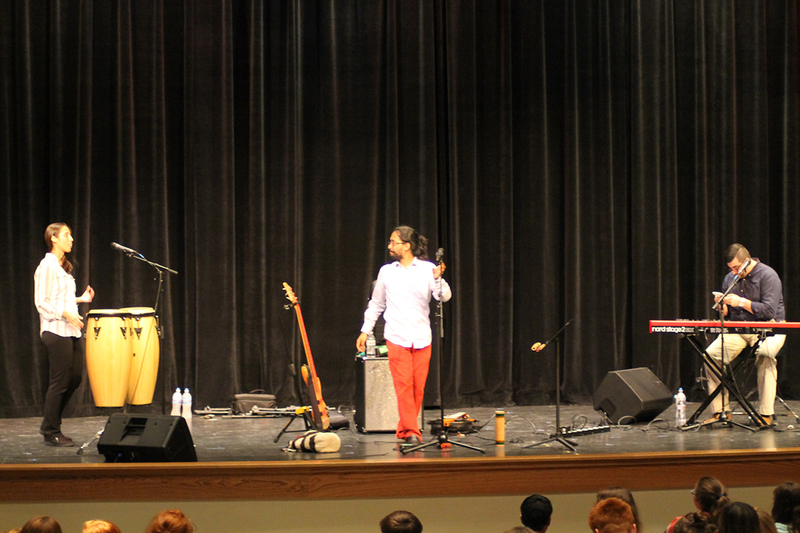 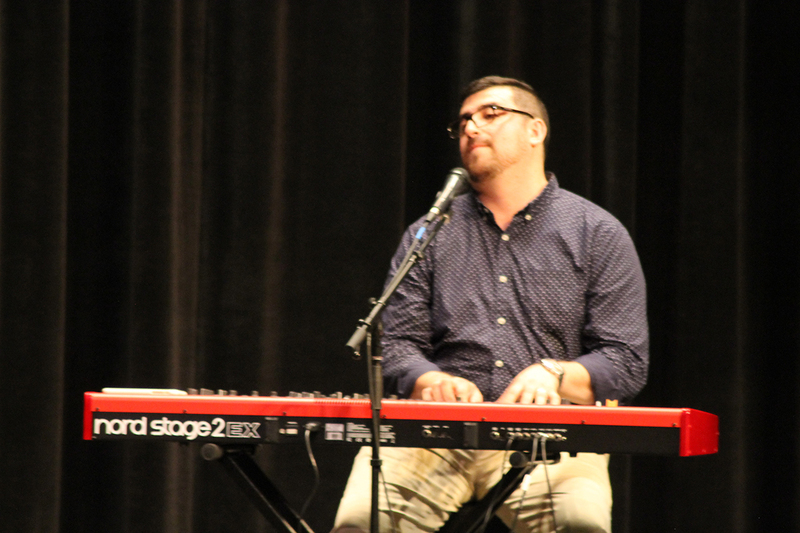 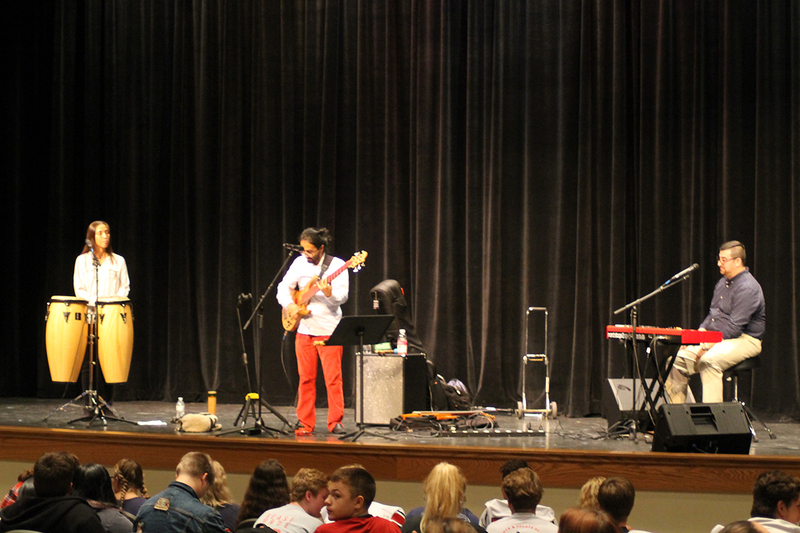 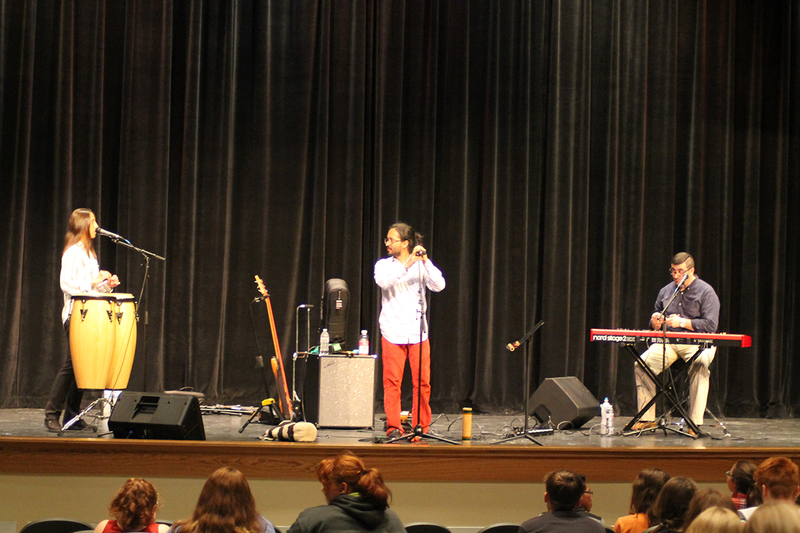 On Friday Sept. 22, 2017 THS students enjoyed a performance by Toco Madera for the Latin American and Caribbean UniDiversity Festival and sponsored by the CAWC–The Center for American and World Cultures at Miami University in Oxford, OH. 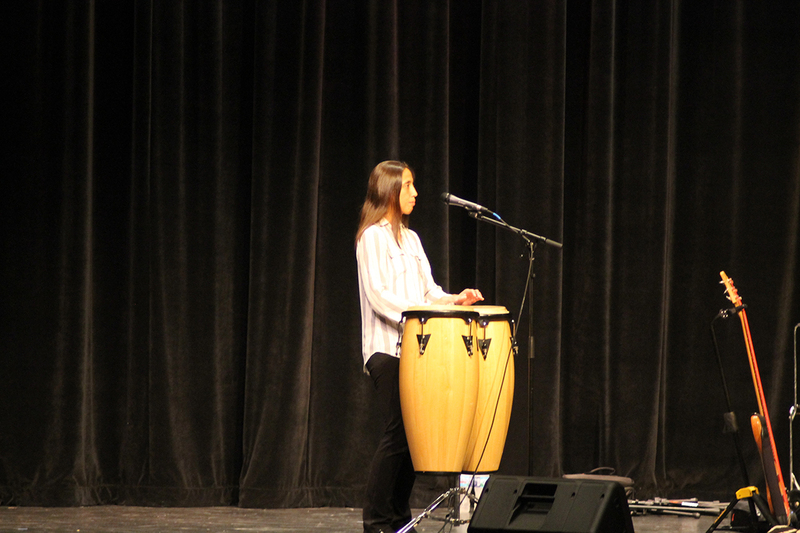 The group performed Traditional Latin American music in the PAC seventh period.The music was very enjoyable and it was also interactive for the students. 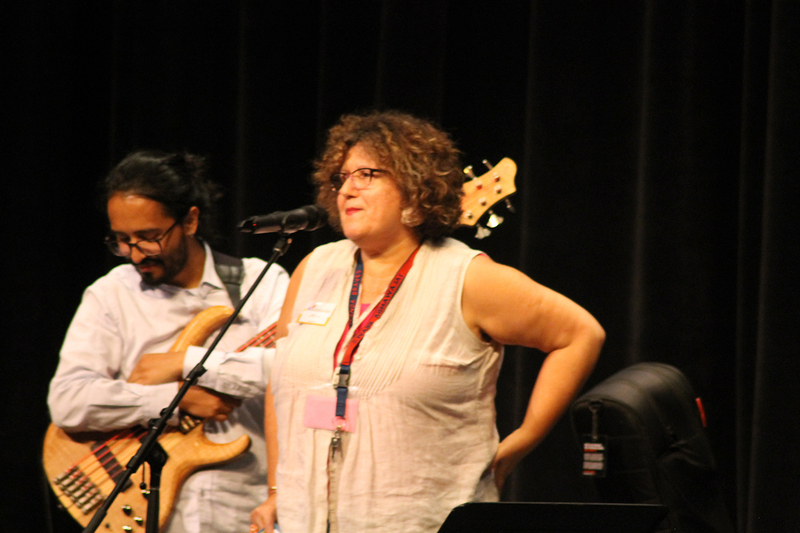 Mrs. Hofmann does plan to do it again next year in accordance with the festival.